What happens when you combine information on the social determinants of health with disease data? You get the Coalition for a Livable Future’s unique web-based mapping tool, called the Regional Equity Atlas 2.0. For the first time, the Equity Atlas now includes data from the Oregon Health Care Quality Corporation (Q Corp) that allows users to overlay disease incidence rates with social factors like walkability of neighborhoods and access to grocery stores. This information can be used to assess how well different populations across the four-county Portland metro region can access key resources necessary for meeting their basic needs and advancing their health and well-being. Equity Atlas 2.0 expands upon the first tool, launched in 2007, which was groundbreaking in its analysis of regional disparities. However, due to difficulty obtaining patient data, it lacked key information about chronic diseases. With the Q Corp data included in the 2.0 updates, the Equity Atlas blends community and health information seamlessly. The Equity Atlas now maps four chronic diseases (obesity, asthma, cardiovascular disease, and diabetes) and “healthy eating, active living”—or a person’s ability to make healthy lifestyle and behavioral choices. 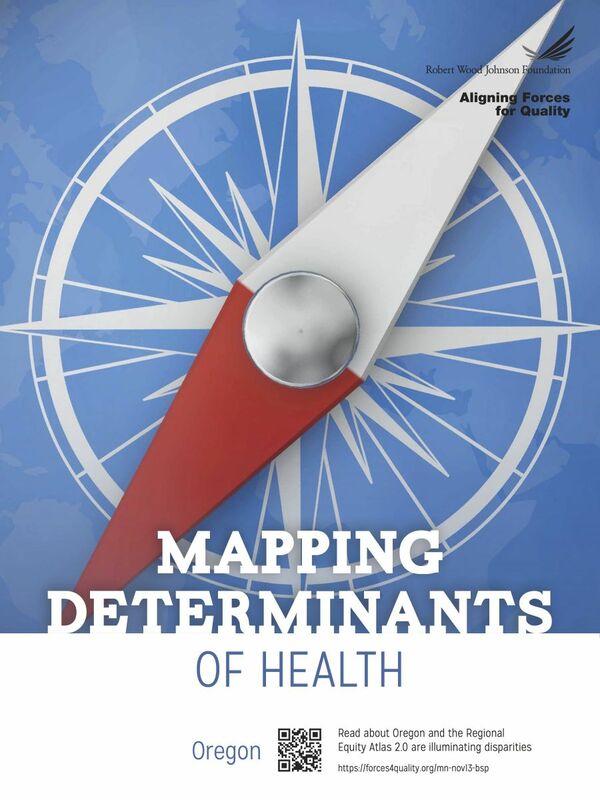 “Many of the important factors that determine health are not within the health care system but are a combination of where we live, work, and recreate,” said Mylia Christensen, executive director of Q Corp.
Equity Atlas maps, for example, show how diabetes incidence rates correlate to healthy eating and active living (HEAL) factors. Several mapped areas show that a low incidence of diabetes corresponds to high HEAL scores. But this does not hold true for all areas—indicating other factors, such as race, ethnicity, and income, may be affecting chronic disease rates. The Coalition for a Livable Future is a community partnership of more than 90 diverse organizations working together to create a more equitable and sustainable Portland metropolitan region. In addition to the information from Q Corp, the Equity Atlas also includes health data from a wide range of data sources. The combination of this valuable information can help inform policymakers and support varied programs to improve health along all its dimensions. For example, urban planners may use the atlas to plan for roadways, bike paths, and bus routes to improve flow and accessibility. Other counties in Oregon are already asking how they can replicate the atlas for their own areas⎯and quickly.